Bikes have been part of my life since I first tried a friend’s 50cc Monkeybike at the age of 11. I couldn’t wait to get a licence. In Frome, there was an independent BMW dealer, Difazio’s. I’d walk the 3 miles from home to stand and gawp at the unfeasibly swoopy-faired R100RSes, RTs and – finally, macho GSes in the window, vowing I’d have one one day. Growing up in Somerset with a bike was joy. Perfect roads, no traffic, plenty of country pubs. As soon as I was 17, I bought my first – a metallic red Suzuki A100. Lying flat across the tank, feet on the passenger footpegs, it would just about top 60mph on the Maiden Bradley straight. For £80 I’d bought my freedom and my first fix. That bike took me everywhere, L-plates fluttering. Thanks to the kindness of Cyril Fuller who managed to teach me to ride without killing myself, I passed my test. It wasn’t much of a test then. A ride around a windswept, February housing estate with the examiner watching from the pavement, finally stepping out with his clipboard to check my emergency stop. The A100 gave way to a white X7 Suzuki 250. The press had acclaimed it as “the first ton-up 250”. It was true – at least, the speedo said it was. It was also the bike that taught me how to take engines apart and, occasionally, get most of the bits back together again. Then, a mate clearing his garage presented me with a stack of oily boxes and two instantly recognisable pieces of white, swoopy fibreglass. An R100RS. OK, it was in Trex White, but it was my dream bike. All I had to do was build it. For the next month, I lived solely on mugs of tea as I bolted and unbolted and fettled and begged bits from anyone who’d listen. I was at least twenty years too young for one, but that was my first BMW. Twenty five years later, I’m still riding. Now, an R1100GS that’s heading for 60k on the clock – and a Ural outfit. 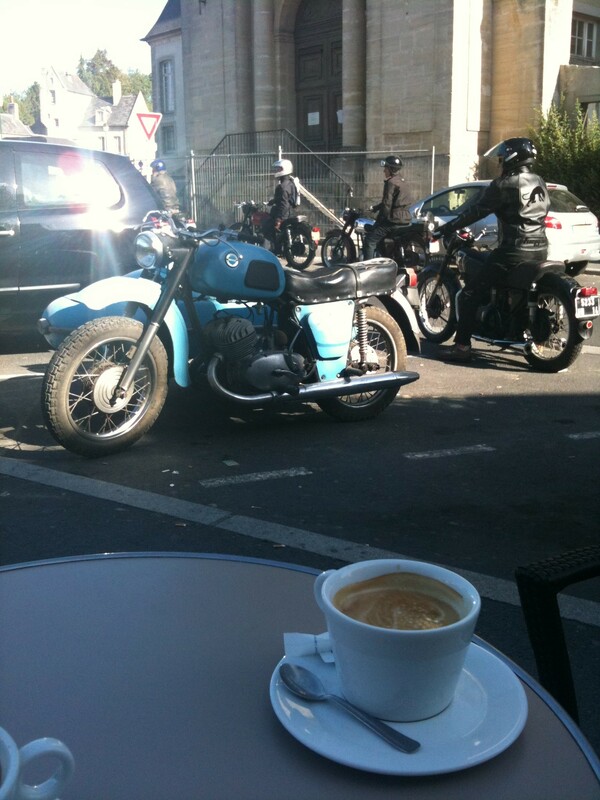 The outfit – a bike with a sidecar – is splendid for me. I have all the ability on a two-wheeler of a frozen chicken. 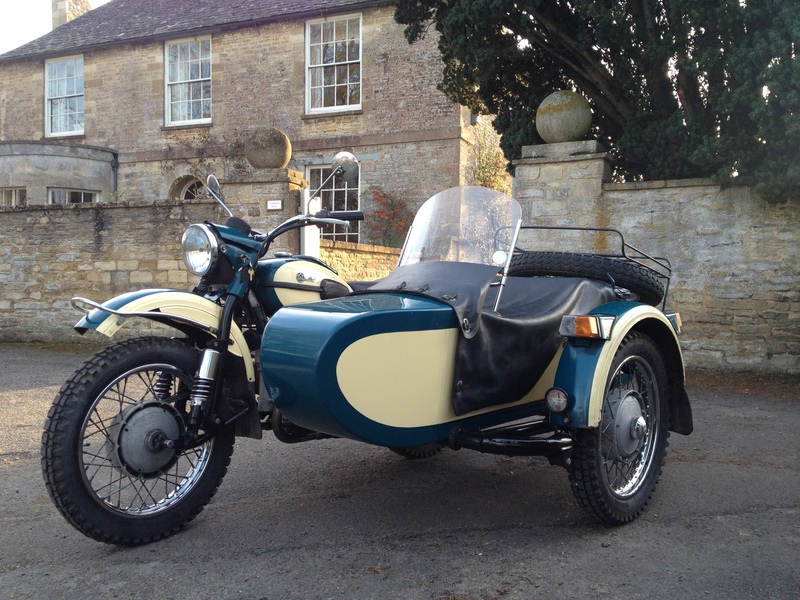 The Ural’s sidecar not only carries a huge amount of stuff, it’s like having stabilisers. It’s an addiction, a refuge and an endless joy. → The curse of sounding professional. ← Dialogue or broadcast? Where’s democracy going?